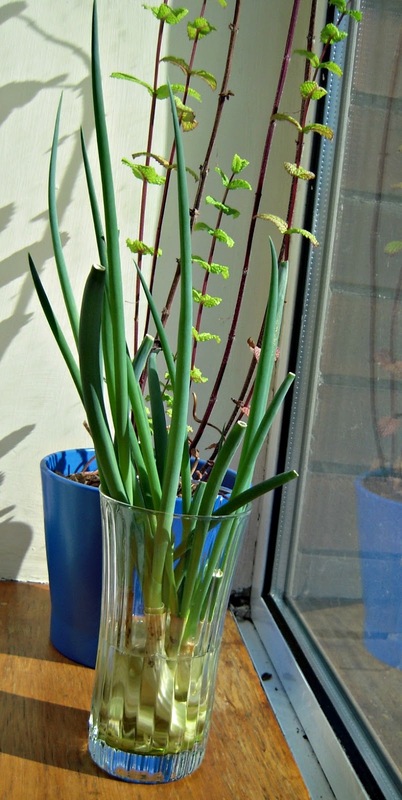 Growing Spring Onions on window sill is one of the many things I have got to know because of Pinterest. If you are not on Pinterest yet then you are missing quite a lot of fun ideas and things. Do join in. 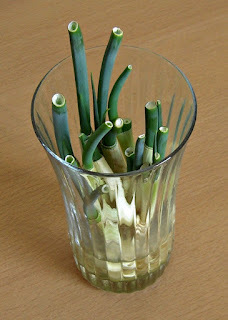 Growing spring onions at home is easy, economical and the best part is you don't need anything fancy. Just a glass jar and water and good amount of sunshine. I use spring onions quite often, be it for garnishing or in Indo Chinese dishes or in stir fries, I need it often. So, when I saw this simple trick of growing it at home, I decided to try it straight away. I am growing my own spring onion for quite some months now and I am absolutely delighted to see them grow. It comes in real handy when you need just a sprig for garnish dishes. Next time you buy spring onions make sure you do not throw the white root part away. 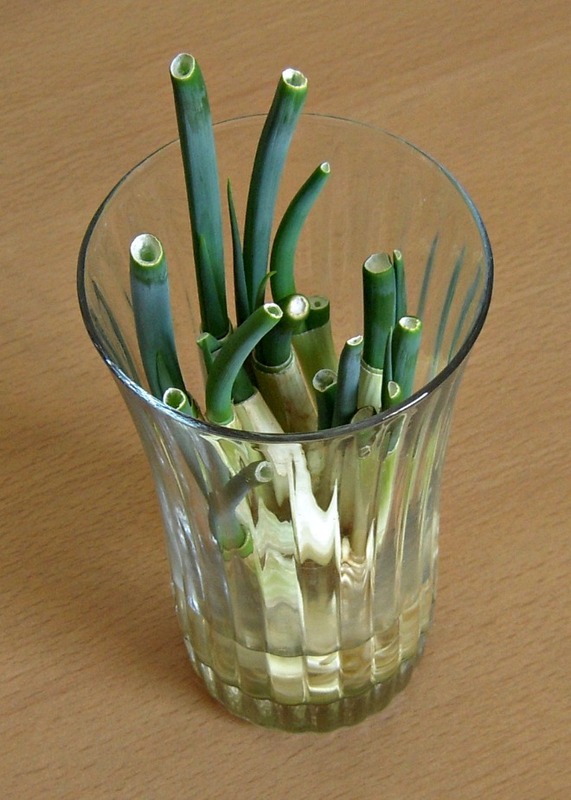 All you have to do it take a glass, add half a cup of water, take the spring onion roots (snip off the green part completely, we just need the white part with the roots) and put them in the water. Make sure the water doesn't submerge it completely, the top ends need to get some air! Keep it on your window sill that gets good sunshine and watch it grow to its fully glory in just a week. Add and change water is 2-3 days. Snip off the greens and keep the whites in water and it will grow again. Note: I have realized that after 5-6 growth, the greens come out very thin. So, I usually discard them after 5-6 times and start over again with new roots. Do try it yourself and let me know how it works for you. Do you have any other such tips? Will love to hear. Wonderful info...will try it today itself..
Amazing tip, thanks for sharing, I use spring onions alot so this should come in really handy. okay now that is cool. no soil required really? hmm, i'm gonna give this a try. i have a couple of spring onions leftover. I tried it too after seeing on Pinterest Jyothi but I do not what happened they just got spoiled. But have to try it once again.